If you are a serious woodworker, investing in a table saw is one of the most significant milestones that you can probably achieve. However, the task of choosing has been a difficult one, even in the past. Various hurdles have been confusing contractors and hobbyist alike. The reason why the best hybrid table saw exists is due to some notable disadvantages you can find on cabinet saws. Of course, one of these demeaning factors is their price. They are super expensive, and people who have a woodworking related business can only take them. Another drawback they have is their weight. Cabinet saws are extremely heavy and never mobile. It will never be the versatile option that you want. 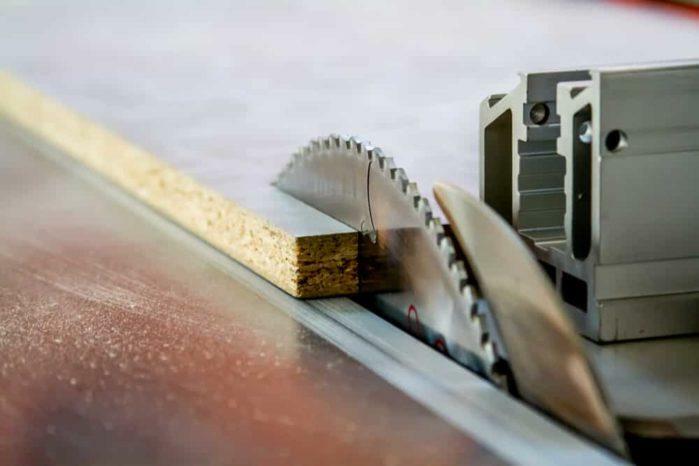 Despite these contradictions, cabinet saws can still deliver high-quality and smooth cutting performance. But if you don't want that particular kind of trade-off, then you should settle to hybrid table saws instead. They are the best choice if you need the efficiency of a cabinet saw but on the price range that your pocket can accept. Now that you are here, why not sit for a bit first? You might want to know the most impressive hybrid table saws that dominate the DIY market right now. I am pretty sure that you are interested and willing to make some considerations. If you are ready to hone your woodworking skills, then these following hybrid table saws can help you start! One of the most beautiful hybrid table saws that you can get today is the Fusion Hybrid Table Saw by Laguna Tools. It is a professional grade table saw that can create smooth and accurate cuts. This particular option comes with a cast-iron table top that is immune from rust, corrosion, and physical damages if oiled regularly. It also has a mirror platform that improves the accuracy of its outputs. Of course, the power of the Laguna Tools Fusion Hybrid Table Saw is undoubtedly reliable. Specifically, it has 1 3/4 HP motor that can tackle any wood cutting tasks. You also do not require to have a 220-volt connection on your workshop to operate this tool since it is already compatible with 110-volt lines. One of the notable differences that the Laguna Tools Fusion Hybrid Table Saw has over other hybrid table saws is the placement of the trunnions. Most hybrids out there have their trunnions affixed to the table. The Fusion Hybrid Table Saw placed the trunnions on its frame. As a result, you can achieve stability and consistency in every cut that you do. Various features make the Laguna Tools Fusion Hybrid Table Saw a high-caliber machine. It has a durable fence that provides excellent support for any workpieces. On the top of the wall, you can see a storage space for the push stick. Meanwhile, its miter gauge has been applauded by many of its users because of their precision and usability. Another hybrid table saw that you should give your attention to is the Woodtek 159665. This particular machine may not be the most popular out there. But when it comes to performance and quality, this device can certainly blow your mind away. By looking at is appearance, you might question the aesthetical tastes of its manufacturers. Coloring the table saw with green and yellow hue makes things a little awkward. But if you don't mind that at all, this table saw is more than excellent! The Woodtek 159665 is a sturdy workhorse. This 10-inch table saw possesses a 2 HP motor that can grind through any though sturdy wood and lumber. The rip capacity that it has is 30 inches at maximum. It is already decent enough to tackle various woodworking projects that you have in your workshop. This tool also comes with a T-square fence for optimal support to your workpieces. The wall is smoothly gliding to the table, which allows better accuracy and efficiency on its cuts. The density or length of the wood doesn't matter with this beast. It can cut through them as long you positioned the tool correctly. On the other hand, the cabinet base of the Woodtek 159665 ensures that dust won't pervade or interfere with your work. There is also a Euro-style shroud that immediately seizes the residue that is from the blade. Meanwhile, the rail-mounted switch of this hybrid table saw features accessibility and ergonomics. Since the switch is a paddle style, using it is never really a problem. Get the DEWALT DW745 Hybrid Table Saw if you are looking for an extremely affordable choice. This compact and portable saw is a perfect choice for any hobbyists out there. It has the performance of heavy-duty hybrid table saws but with the price that you will never really turn down! The footprint of the DEWALT DW745 Hybrid Table Saw is fully optimized. It only weighs 22kg, which makes it one of the most portable hybrid saws that you can see on the market today. 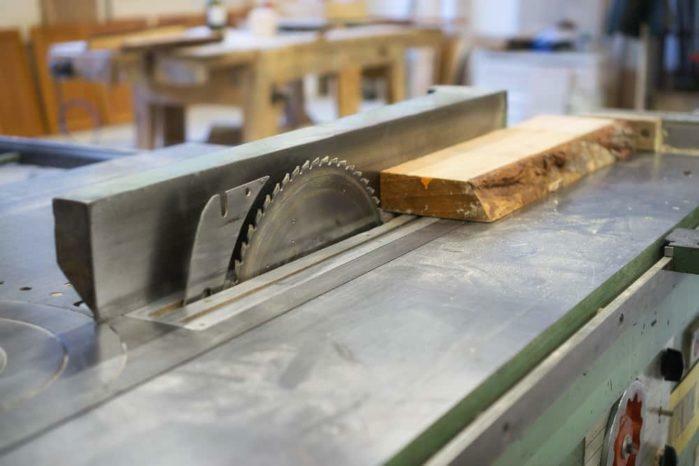 Despite its size, this table saw is still rugged and durable. It has a lot of protective features to ensure that it won't get damaged easily in the workshop. For example, the steel roll cage defends the saw from impacts and accidental drops. When it comes to performance, it is hard to underestimate the DEWALT DW745 Hybrid Table Saw. After all, it still has the essential features that enable accurate and clean cuts. The rear and front fence and the rack-and-pinion fence work together to ensure that the saw will work the way you wanted it to be. This capability further improves, thanks to the cast-iron tabletop construction. You will be surprised that this tool offers a 2.4 HP motor that drives the table saw consistently, even for extended periods. Meanwhile, it has a rip capacity of the 24 inches. Although it is not as massive as the first two table saws I featured, it is still adequate to cater large workpieces. If you are willing to bet your money on a professional grade hybrid saw, you should do it with the Powermatic 1791230K 64B Table Saw. I can safely say that this one is a cutting beast. It can provide exact cuts quickly and smoothly. Moreover, it is capable of extended working operations, thanks to its stable 1-3/4 HP motor. But of course, it is not the only thing that makes this hybrid saw a top choice for skilled and seasoned woodworkers. This tool features a riving knife that preserves close positioning to the blade. As a result, kickback doesn't happen at all. Meanwhile, its miter gauge boasts micro adjustment capabilities. It also comes with an extension plate for better crosscutting results. Take note that both the riving knife and blade guard of this machine offers a tool-less removal and mounting. The platform of the Powermatic 1791230K 64B Table Saw optimizes your work. Its cast iron table has beveled edges to ensure that the miter gauge will have a smooth entry. Of course, the trunnion itself is also from cast-iron for efficient and sturdy positioning of the blade. Notable, the handwheels of this tool have been chrome plated for better ergonomics. You can also find an arbor lock integrated on this table saw. The said component eliminates the need for you to use dual blade wrenches. By default, the system of the Powermatic 1791230K 64B Table Saw has a 30-inch rip capacity. But you can always extend it up to 50 inches. The last one that I am going to recommend you is the DEWALT DWE7491RS Jobsite Table Saw. It is a hybrid saw that you could trust if you want a portable model that you can bring anywhere. Unlike the first DEWALT hybrid saw that I featured here, the DEWALT DWE7491RS Jobsite Table Saw provides its users with a reliable set of wheels and casters. Therefore, there is no need for you to burden yourself with carrying the tool. But just like all of the hybrid table saws here, the DEWALT DWE7491RS provides excellent user experience. It does not have a sophisticated layout, making it a perfect choice for DIYers. Of course, I have to assure that this tool is flexible, too. For example, the rack and pinion fence that it has allows quick and smooth adjustments for accurate cuts. Moreover, it also boasts a 32-inch rip capacity which can cater large workpieces and materials. There is no need for you to worry about the power of this machine. After all, it features a 15-amp motor. The force it generates enables the saw to rip through thick and sturdy hardwood. You will also love that this device can create three 1/8-inch thick cuts when positioned at 90 degrees. On 45 degrees, the saw can offer a cut depth of 2 1/4 inches. The DEWALT DWE7491RS also has a dust collection port. The port can be quickly connected to vacuum for a more efficient cleaning. In this way, your work area would always be clutter-free. Meanwhile, the table that it has offers generous and foolproof support to any material that you are working. Any woodworker is dreaming of getting a table saw in their workshop. After all, it is among an essential amenities that they need, especially if they are doing significant projects. This tool alone can accomplish many tasks. Therefore, it is a must-have rather than an unfortunate case of pure desire. However, it is already a known fact that table saws are not cheap. They are extremely expensive. There is no exaggeration about this. If you are going to be careless, you might end up wasting a significant amount of cash. Moreover, it will also put a substantial setback in your workplace and productivity. 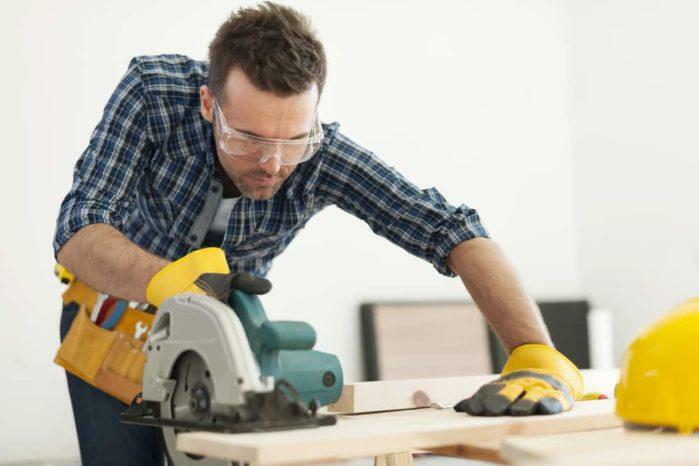 If you want to get an excellent table saw, you should know the essential considerations in choosing first. Fortunately, you don't have to go anywhere. I have listed already the things that would teach you the basics of a table saw. Let's get started! A cabinet saw is the biggest and heaviest among all the variants of table saws. Moreover, it is the most costly, too. Typically, most cabinet saws have cast iron table that affixes to a flat, smooth platform. Meanwhile, the motor stores in a cabinet (hence the name) that is under the table. On the other hand, the gearing and trunnions of cabinet saws are usually heavy duty. Of course, you can expect that they can tackle extremely large workpieces and materials. After all, they have high-powered motors. They are the ideal choice for professional contractors and serious woodworkers. Hybrid saws are the best route that you can take if you can't purchase a cabinet saw. Specifically, this one is almost similar to a cabinet saw. The only differences they have are the price and size. Since most hybrid saws are smaller than standard hybrid saws, they are more mobile on the field. Some even have casters and wheels that allow you to transport the tool anywhere that you want. However, you should always remember that the motor power of hybrid saws does not usually exceed more than 2HP. But if you are just a hobbyist or a simple DIYer, this capacity is more than enough. Rip fence - This is a bar that serves as the guide for the workpiece while you are moving it against the blade of the table saw. Miter gauge - It is a component that also acts a guide. Accurately, you can adjust the miter gauge so that you can make different cuts on your workpiece. Bevel system - Just like its name suggests the bevel is a specialized component that allows the saw blade to be tilted. Take note that not all table saws have this part. Direct drive - This type of setup involves the direct linking of the power of the motor to the saw blade. Belt drive - This mechanism is utilizing a unique belt that serves as a medium for power transfer between the motor and blade. Usually, a table saw that has a belt-drive motors are far away from the saw blade. As a result, they are least likely to catch the dust that the saw produces. That makes them last longer than their direct drive motors. However, belt drive motors usually need constant maintenance. This one might stress you out. If you want the table saw to work the way you want it to be, then make sure that it possesses the right components and features. Otherwise, you will just end up on the losing side of things. Any of the following parts will ensure that the table saw can work with efficiency and versatility. Motor - Obviously, a table saw will not work if it doesn't have a reliable engine. Usually, the motor table saws rate by amperage or horsepower. For hybrid table saws, 2 HP motors are already sufficient. Shaft locks - Shaft locks or arbors enable you to render the blade and shaft immobile. That would allow you to change the edge quickly and safely. Blower and dust ports - If you want your working area to be clear from dust residues, these two components are necessary. If the table is clean, you will be able to see the guides easily. It just improves the accuracy and proficiency of your work. Rip fences - The function of this component is simple. They just ensure that your cuts will be accurate and excellent. It would also be great if the table saw has extendable rip fences. They will enable you to enlarge the ripping capacity of the saw. Blade guard - Of course, your safety is always a paramount consideration in choosing a table saw. You should not work with any power tools if they didn't assure your safety. Don't forget that saws can become dangerous machines, especially if they don't have protective mechanisms such as blade guards. As I mentioned, table saws are essential amenities for woodworkers. These power tools will enable them to deal with large and sturdy materials and hardwood. Building furniture would be a lot easier if you got this machine in your workshop. Of course, not all people are willing to use cabinet table saws. They are expensive and considerably too much for simple applications. Hybrid table saws, on the other hand, are the most acceptable option. They can provide the power and efficiency that a cabinet table saw has without burdening you with their cost and weight. I have featured notable hybrid saws here. All of them are quite capable of making your life in the workshop more comfortable, especially if you are going to choose the LAGUNA TOOLS Fusion Hybrid Table Saw. The latter can generate sufficient power so that the saw can work for extended periods. All the supporting tools and amenities are already on this machine. For me, it is the best hybrid table saw right now. But what do you think? Are there other hybrid saws that can exceed these options? Then you should tell me in the comment section below!